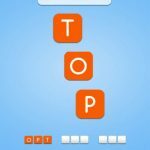 Word puzzles have always been one of the best ways to pass time, and they have made their way to mobile platforms without a hitch. 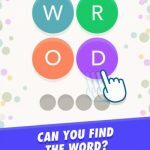 Word Charm provides new and fun ways to enjoy your favorite word puzzles on Android and iOS. The mechanics are simple. You are given a set of letters for each puzzle. You will need to form words by using only the letters given to you. Just swipe from letter to letter in order to form your word. Make sure you don’t reuse any of the letters in the same word, though. The game also features numerous relaxing backgrounds that you can mix and match in order to create a more relaxing atmosphere while you play. It is a great way to exercise your mind while having fun at the same time. There are over 2,000 levels for you to complete, with the difficulty level slowly ramping up with each puzzle. It all starts out easy, but how long can you keep up? It takes more than just knowing a lot of words to succeed in this game. You will need to have an eye for patterns and a good strategy. If you find yourself stuck in any of the daily puzzles, don’t worry. 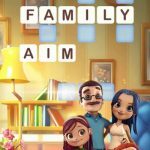 You can always rely on our list of Word Charm daily answers and solutions to help you solve all puzzles!